In a recent civil rights dispute, a United States Court of Appeals ruled in the case of United States v. Vargas. In a traffic stop in Alabama, a police officer discovered methamphetamine and cocaine in the vehicle of the defendant, Oswaldo Vargas. Mr. Vargas was ultimately charged with “conspiracy to possess with intent to distribute and possession with intent to distribute those drugs”. The defendant then tried to suppress the evidence found at the traffic stop citing that the traffic stop violated his Fourth Amendment right against unreasonable searches and seizures. However, his motion to suppress was denied and he ultimately pled guilty to both felony charges. During the traffic stop, the defendant was originally pulled over for following too closely behind the vehicle in front of him. Mr. Vargas immediately disclosed that he did not possess a driver’s license and the law enforcement officer asked him to come back to the police car for a few questions. Ultimately, the police officer decided to issue Mr. Vargas a warning and completed the necessary paperwork. Then the police officer returned to the defendant’s car to ask the passenger of the vehicle if they would be able to operate the vehicle. The passenger said no and the police officer worked with the pair for “12 minutes” in order to figure how to safely move the vehicle. At this point (over 30 minutes into the traffic stop) the police officer asked the two for consent to search their vehicle, the defendant provided consent, and the police officer found the narcotics in the vehicle. During the trial, Mr. Vargas explained that the length of the stop was a violation of the Fourth Amendment to the Constitution. He claimed that the stop was over once the officer decided to give the defendant a warning, and the events that followed after the warning was issued constituted an unreasonable seizure. However, the court rejected this argument, stating that the officer did not complete his “duties” during the time of the traffic stop. 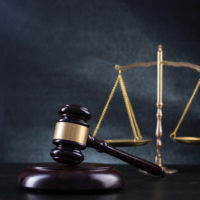 The court explained that the officer was in fact fulfilling his duties as he attempted to figure out how to safely remove the vehicle from the street. Thus, because the defendant consented to the search of the vehicle and the officer was actively trying to assist them in lawfully removing the vehicle from the roadway, then no Fourth Amendment violation occurred. Had the officer been prolonging the traffic stop for the sole purpose of searching the vehicle, then the argument that a Fourth Amendment violation occurred would be much more viable. It is important to understand that everyone in this country has a certain set of civil rights as defined by the Constitution of the United States. These rights are in place to protect individuals from government overstep and malicious behavior from other individuals. If a violation does occur the law entitles you to potential compensation and relief in the event that you bring a claim against the inflicting party. Civil rights cases are often complex, but with the help of an experienced civil rights lawyer you can ensure you are effectively pursuing your case. If you are in need of assistance contact the defense lawyers in Orland. We have extensive experience representing individuals in civil rights cases and we will fight to ensure you receive the compensation you deserve. Call 305-999-5100 to now to schedule a consultation.